Australian 240V AC to 12V DC 2 Amp power supply. Time clocks that are programmed for signal times (shift times, breaks, etc) only supply a relay contact output. 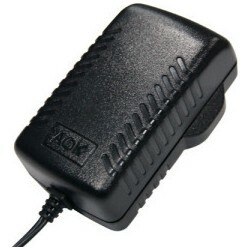 This 12V DC supply is required to provide power to the 12V DC siren or bell.